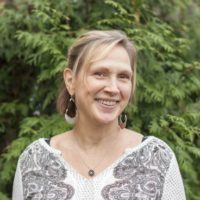 Patricia is a licensed massage therapist since 1992 specializing in Sports and Exercise Massage, Manual Lymphatic Technique, Colorpuncture, Visceral Manipulation, Subtle Energy Technique, and Zero Balancing. She has worked with chiropractors, oncologists, plastic surgeons, psychiatrists, women’s wellness centers, salons, and in her own private practice. She holds a degree in nursing and fine arts as well as advanced certifications as a Lymphedema/Lymphatic Drainage Specialist. She is a Five-Star Lypossage Educator/Practitioner having taught at East Stroudsburg University, Health Options Institute, and various locations across the United States. Her philosophy is holistic with the understanding that any process going on in a human being is a body-wide/spirit/ psycho-immunity phenomenon. Patricia beautifully blends her extensive knowledge and experience in the healing arts, facilitating balance and restoration to the whole person.